Most people toss their trash and never think about it again. 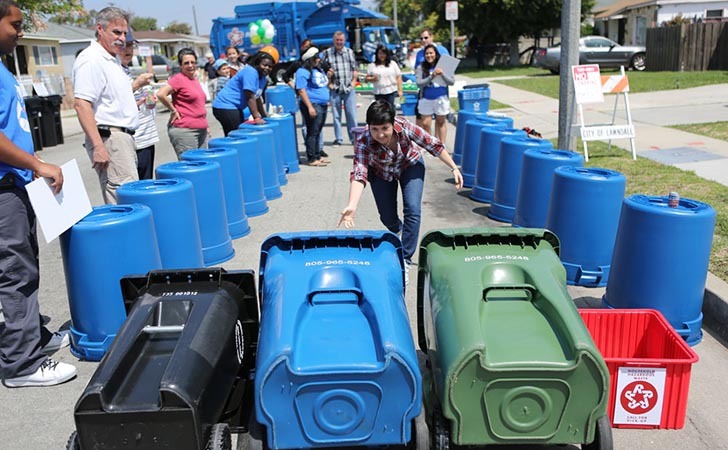 But Steve and Kathy Stanton, who founded Trash for Teaching, (a.k.a T4T), are on a mission to inspire children in Los Angeles to protect the environment and prepare for 21st century job opportunities using trash. T4T has built quite an impressive warehouse filled with accumulated objects from manufacturing companies who donate overrun materials, otherwise headed to the landfill. Demonstration eyeglass lenses, plastic fish scales, various packaging materials, and even equipment components donated by NASA become the creative tools with which they conduct a variety of programs to educate children. Some of T4T’s programs include early child education where they conduct workshops like Letting Materials Lead the Way, “an immersion into open-end materials and the inspiration they create.” For elementary and middle school-age children, there are offerings such as the Inventor’s Dream program where students are challenged to create the Ultimate Recycling Invention. And on the high school level, teachers are collaborating to design, implement, and share new concepts for teaching hands-on Physics and Engineering through the Open Source Science program. 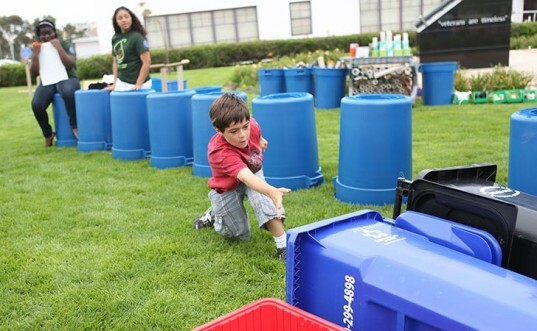 Trash for Teaching urges children to re-imagine recycling. Instead of tossing something into a blue bin, it may take on an entirely new purpose to promote learning. Some of T4T’s programs include early child education where they conduct workshops like Letting Materials Lead the Way, which is an immersion into materials and the inspiration they create. For elementary and middle school-age children, there are offerings such as the Inventor’s Dream program where students are challenged to create the Ultimate Recycling Invention. And on the high school level, teachers are collaborating to design, implement, and share new concepts for teaching hands-on Physics and Engineering through the Open Source Science program. A major goal of T4T is to promote Science, Engineering, Technology and Mathematics education, or STEM. This is such an urgent focus for the organization because STEM-related jobs will number nearly 1.2 million by 2018 in California alone, according to US Innovation and The Alliance for Science & Technology Research in America.